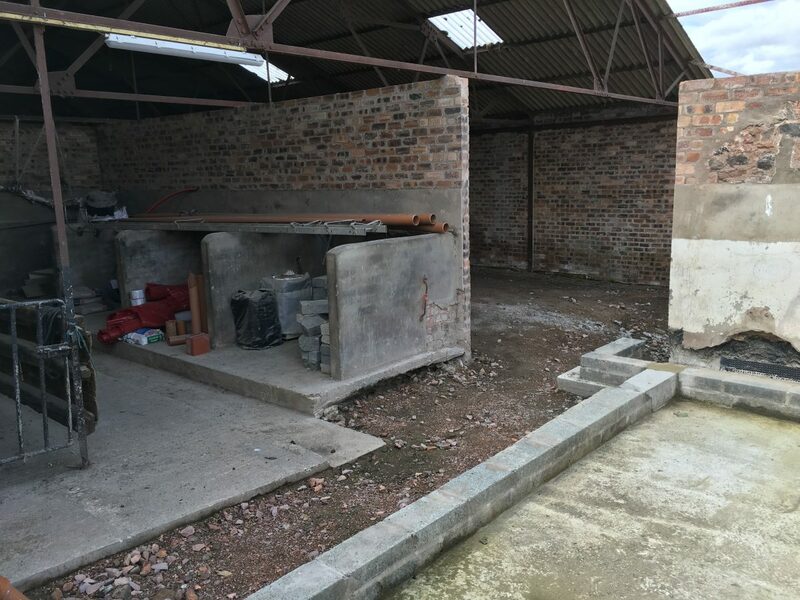 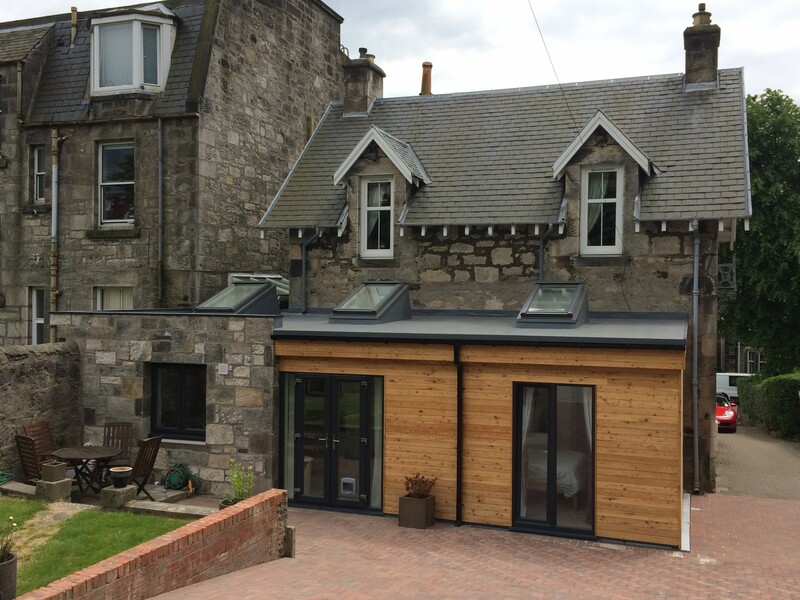 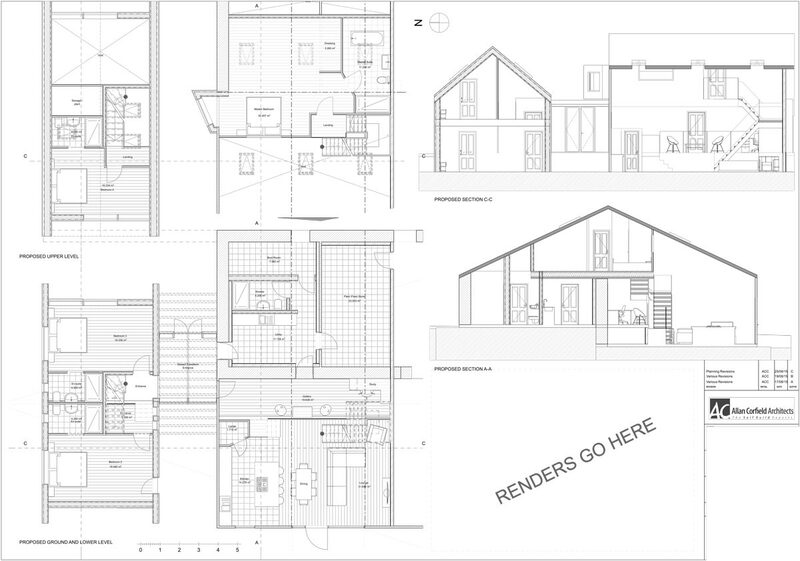 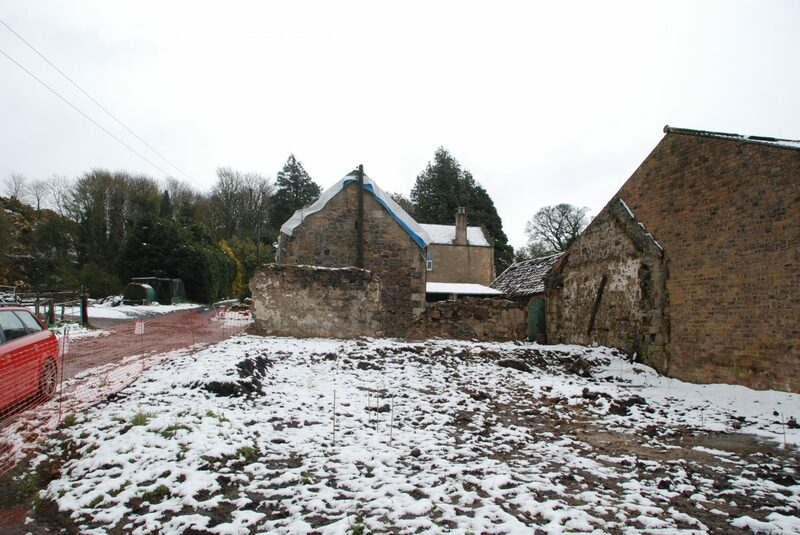 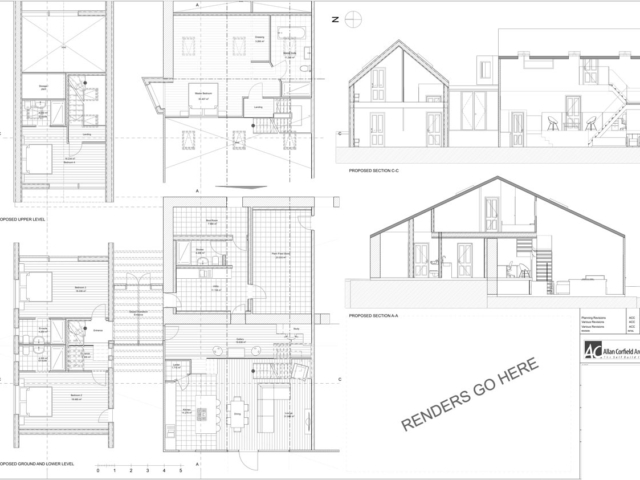 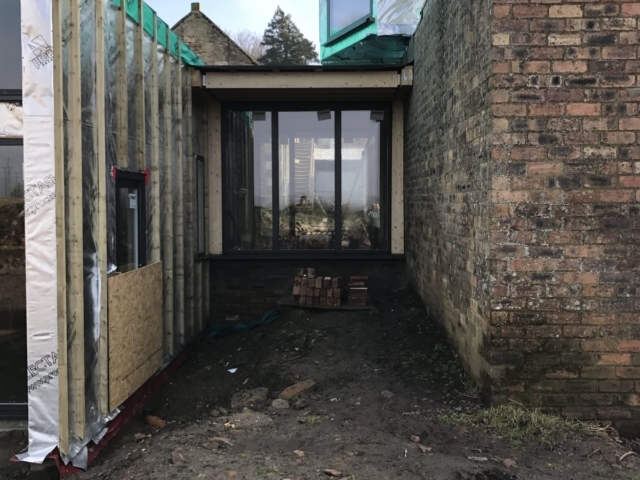 Since 2013 ACA have been assisting a family in their quest to find a suitable self-build project, like many others finding the right plot is tricky and time-consuming! 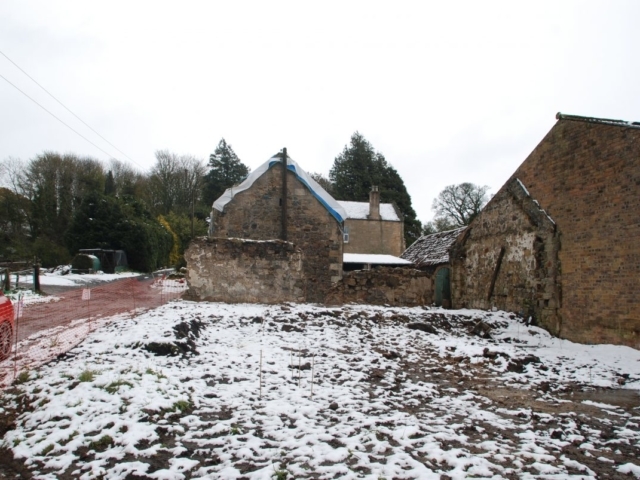 After numerous failed attempts at purchasing a plot of land, the family stumbled upon a grouping of derelict farm buildings (whilst out walking the dog). 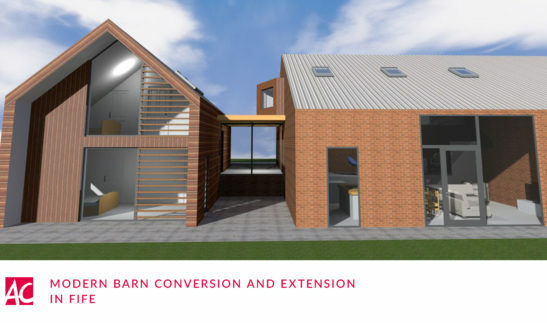 The farm was made up of a courtyard of steadings, a large red brick barn and arable farmland – which was crying out for conversion! 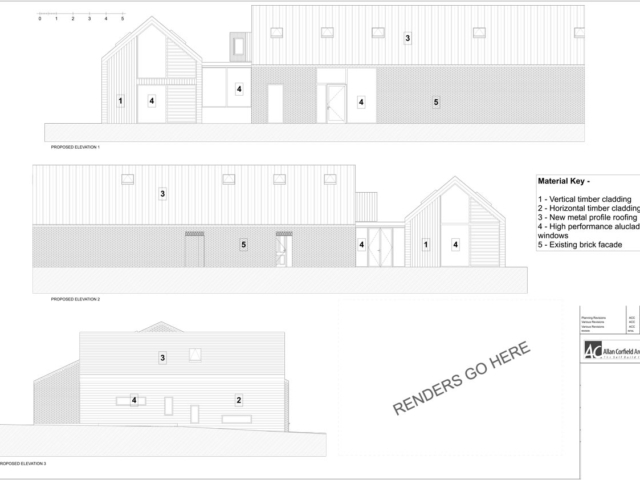 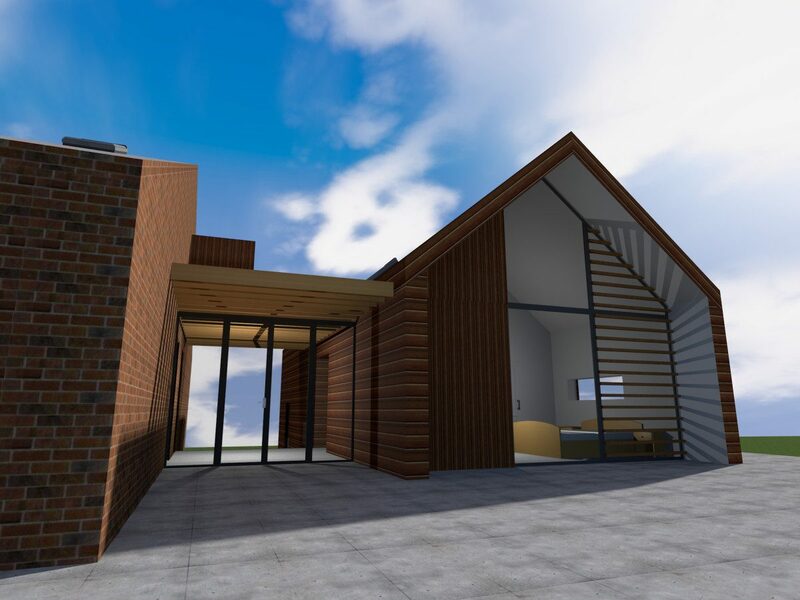 ACA provided a number of basic options which were used to submit a pre-application enquiry with the local planning team, which gave an idea of what would be supported. 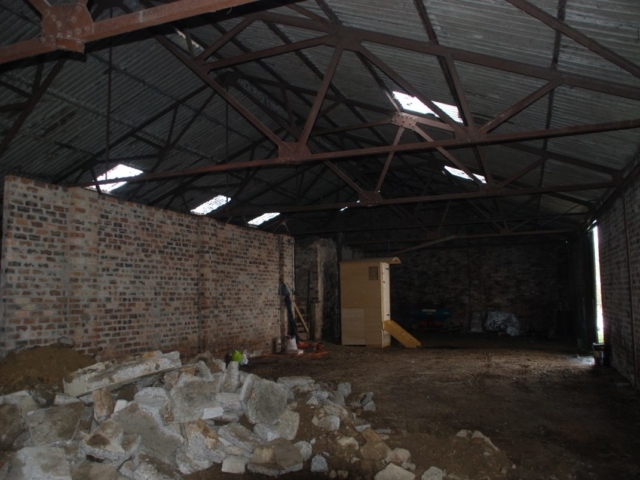 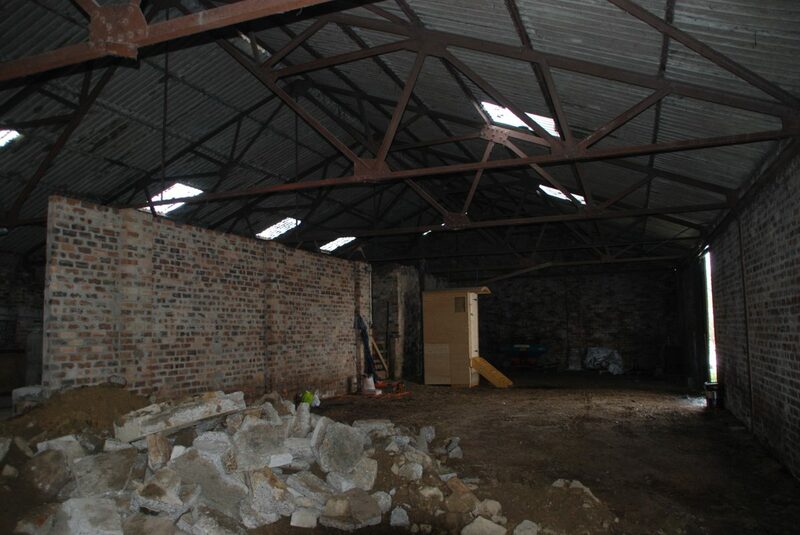 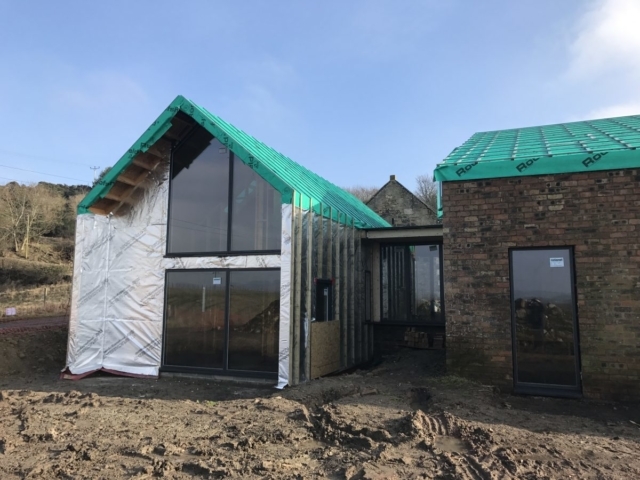 The successful pre-app lead to a clever design solution of converting part of the large barn into 2 levels of entertaining space and master bedroom suite. 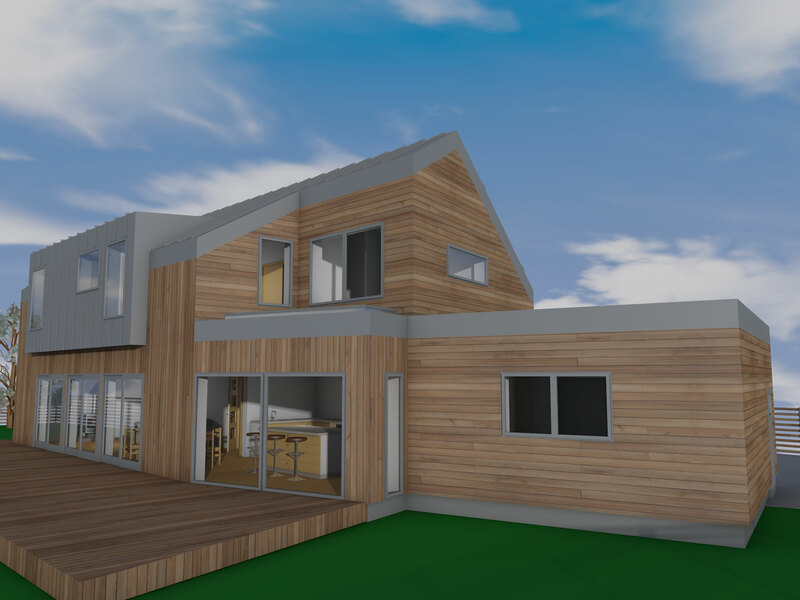 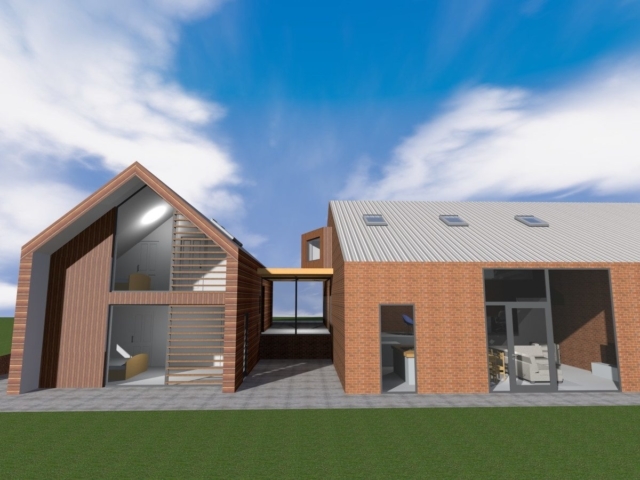 Then a large 2-storey timber clad extension (housing 3 further bedrooms and bathrooms) would be connected via a glazed walkway. 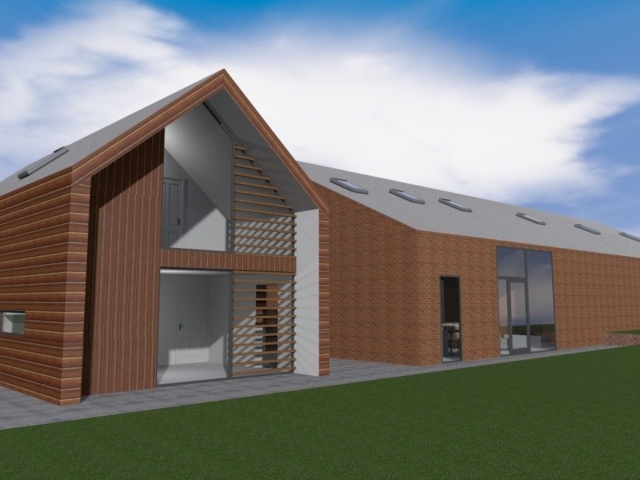 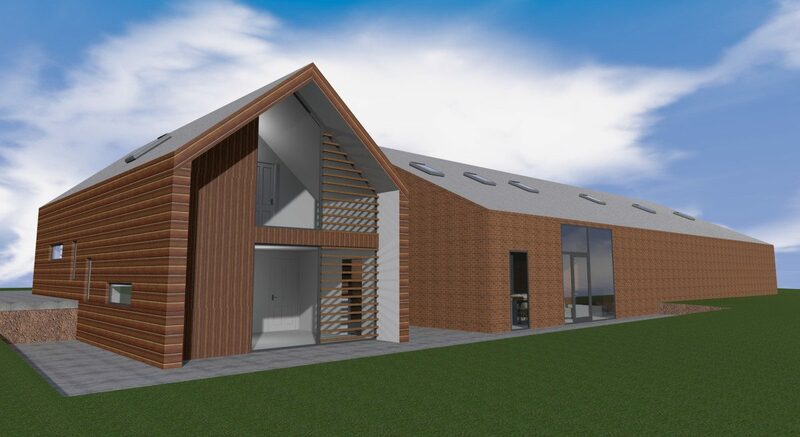 The stunning proposal received detail planning approval in 2015, shortly after the detailed design was completed and a Building Warrant was obtained. 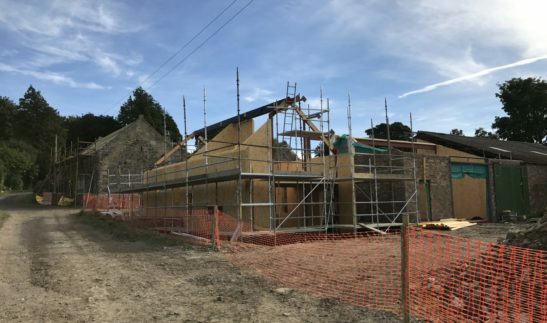 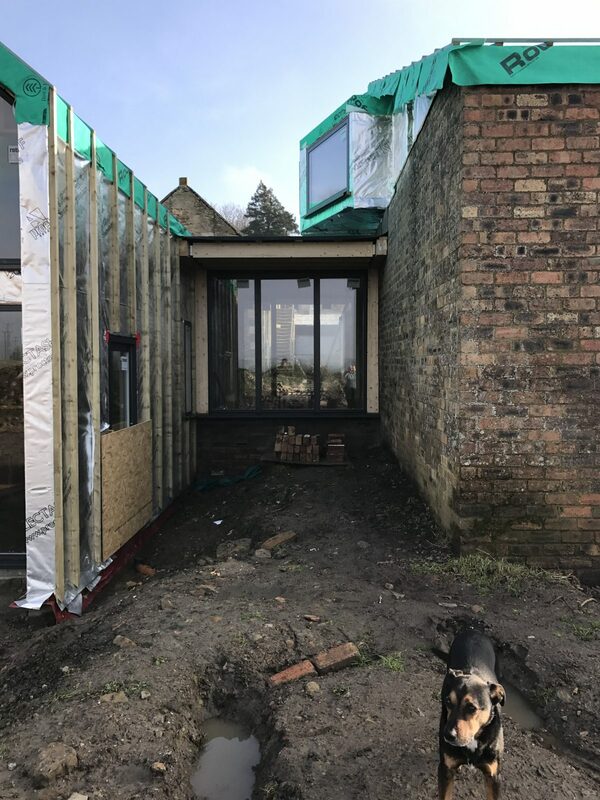 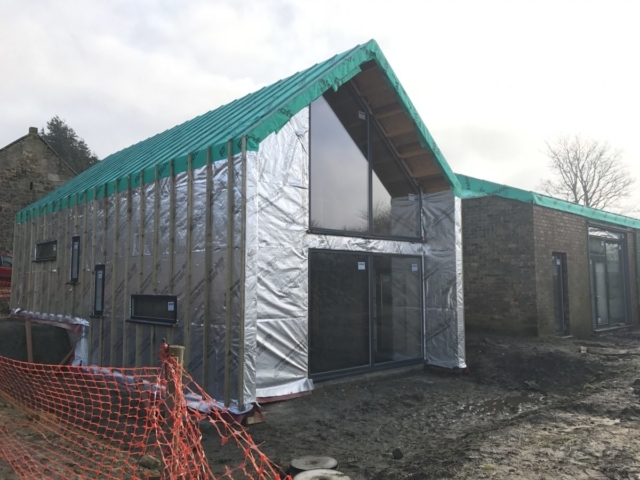 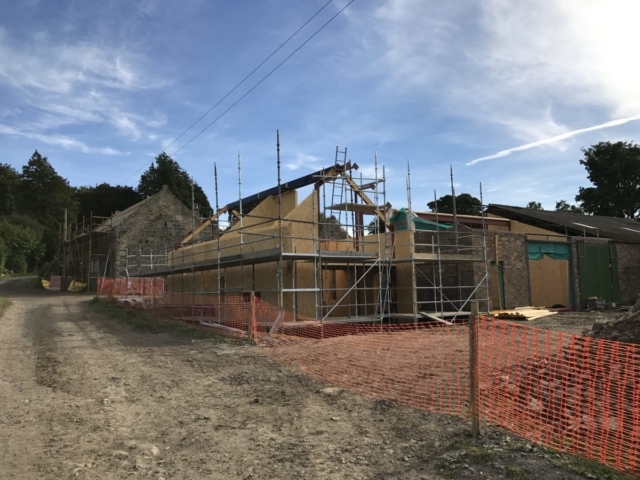 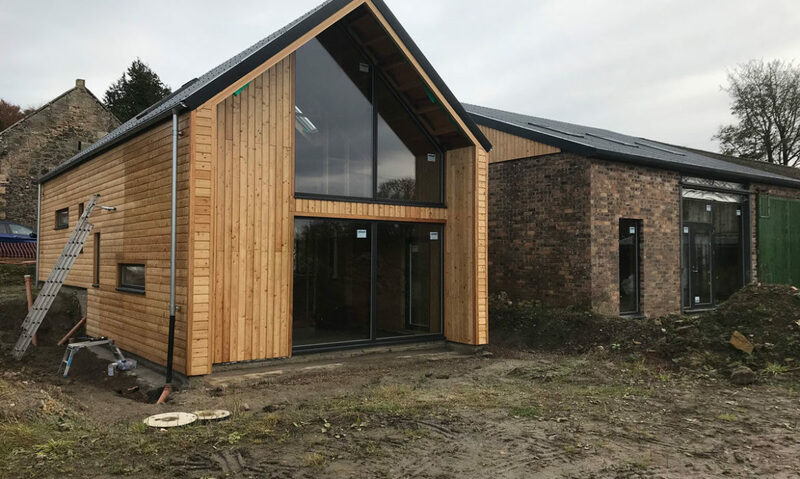 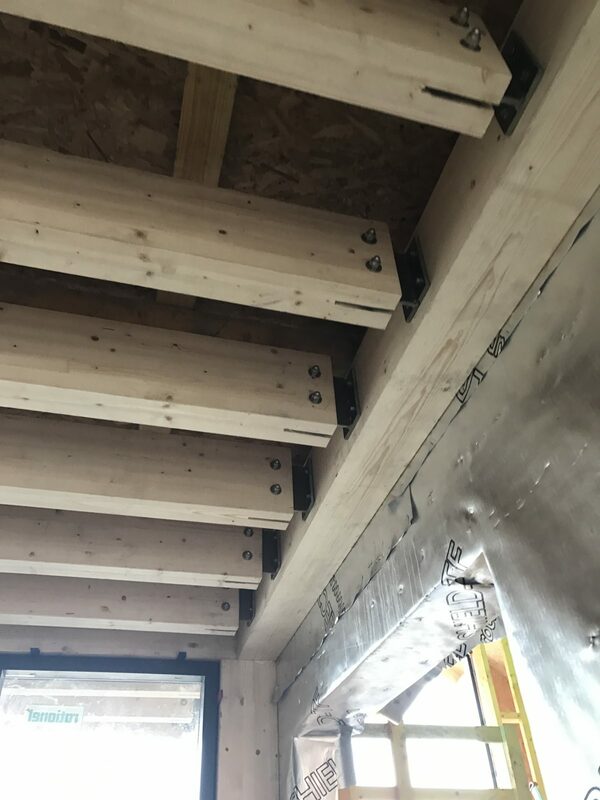 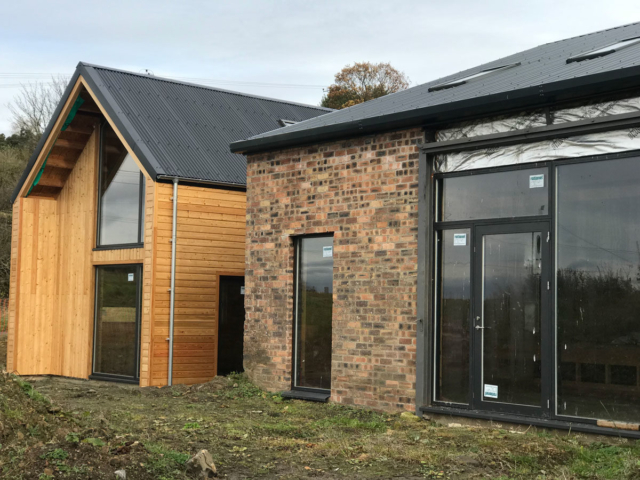 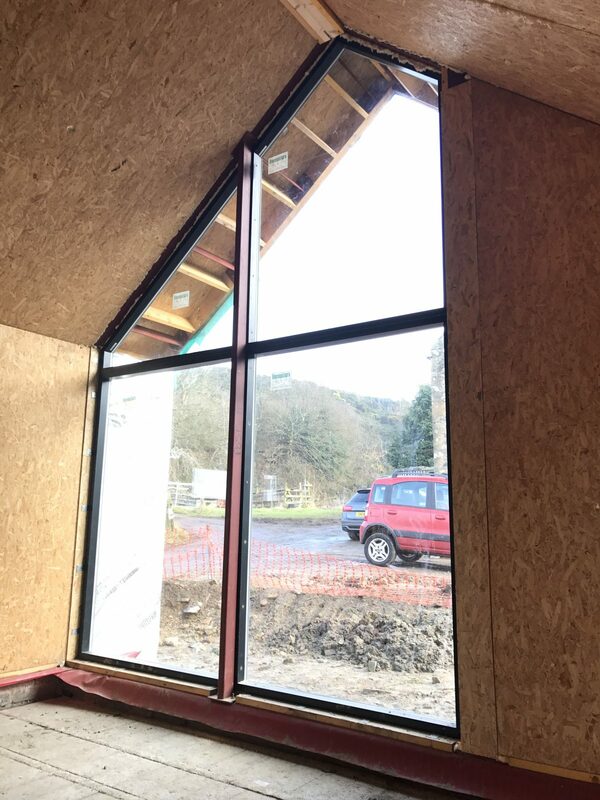 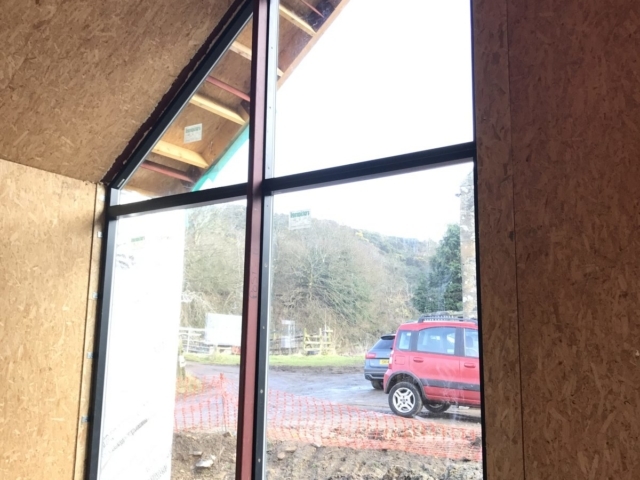 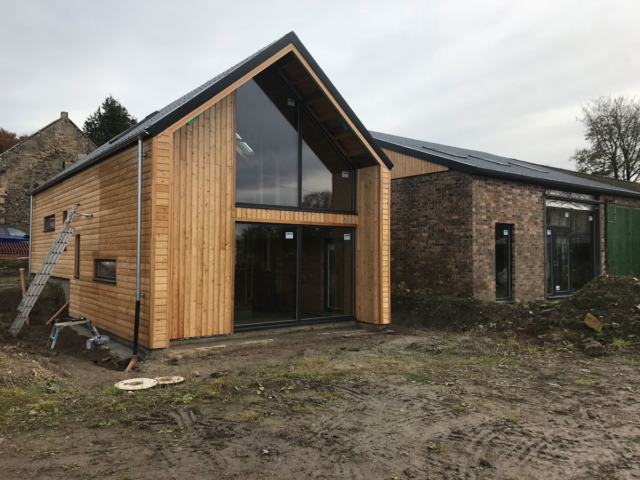 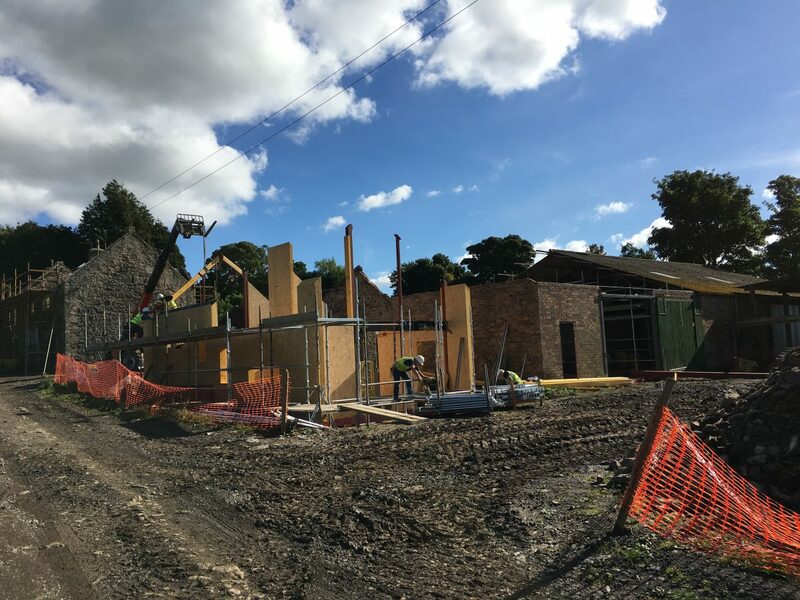 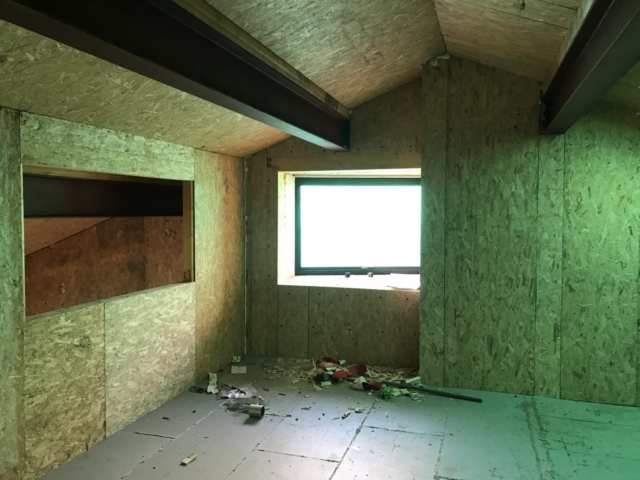 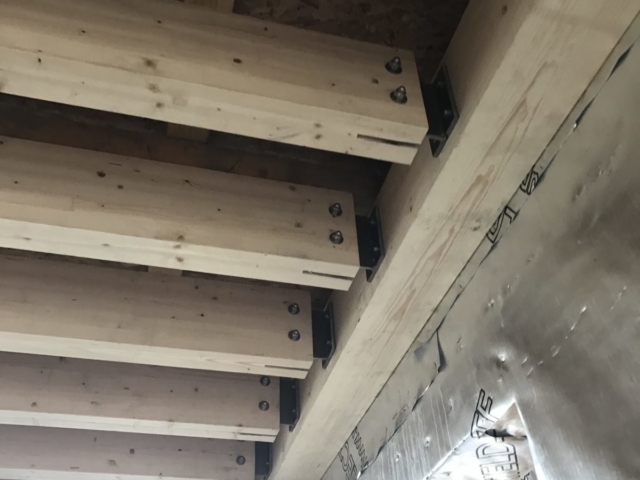 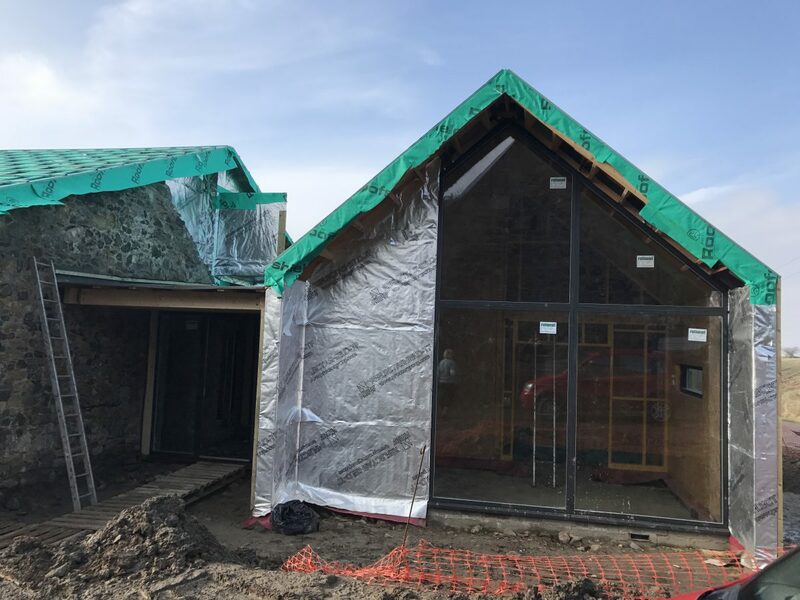 In order to make the building as energy efficient as possible SIPS Industries provided an infill panel solution for the main barn and constructed the new extension out of their thickest and most airtight 217mm panel. 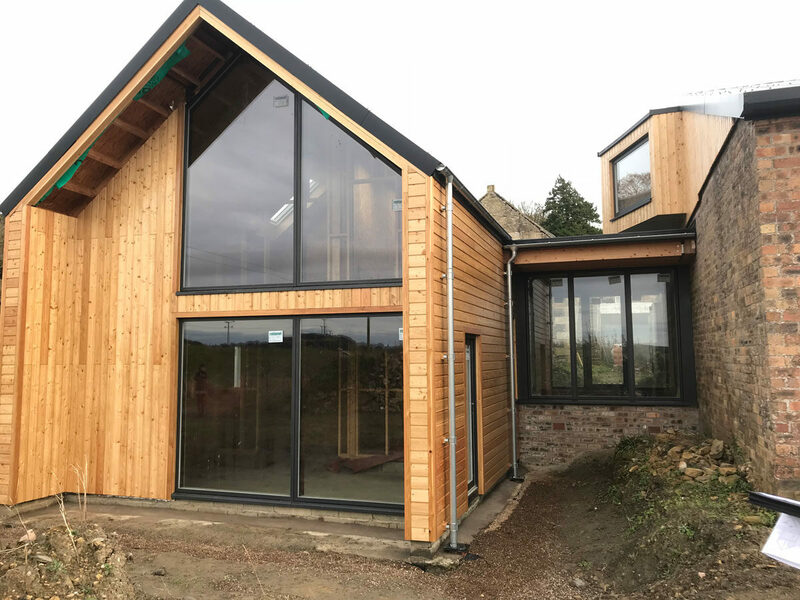 The fabric first approach for the external wall construction was also continued with the specification of Rationel triple-glazed windows. 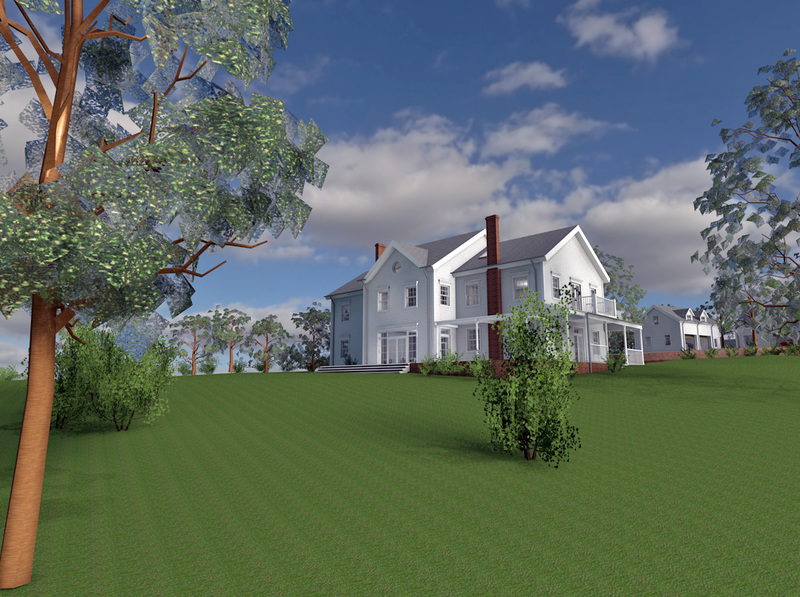 The house will feature a market leading Zehnder MVHR system and the latest in hot water battery technology from SunAmp. 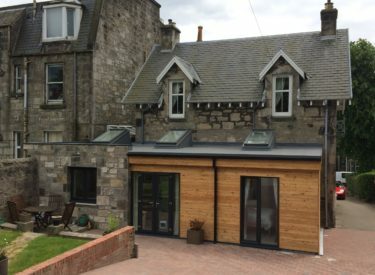 The house was completed in Summer 2017.